Here’s a great deal that is good through June 1, 2019. 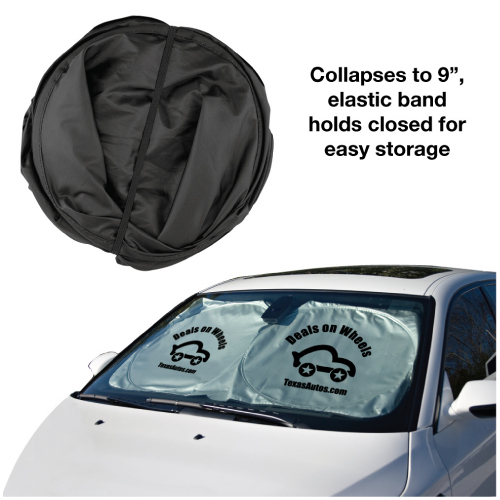 Auto sunshades show your team or school spirit. Put your school name or school logo and market to the whole school or community and make money for your sport or club! Huge imprint area, 15″ diameter. 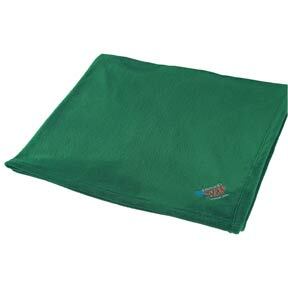 Perfect for booster clubs, school teams, sport teams, school clubs, churches, businesses, etc. Great to use for sponsors or sponsor thank you gifts. 9.49 each for 50 pieces, 8.49 for 100 or more. (less than 50 are 10.00 each). Set up is 50.00. 27″ x 56″. Order yours today! 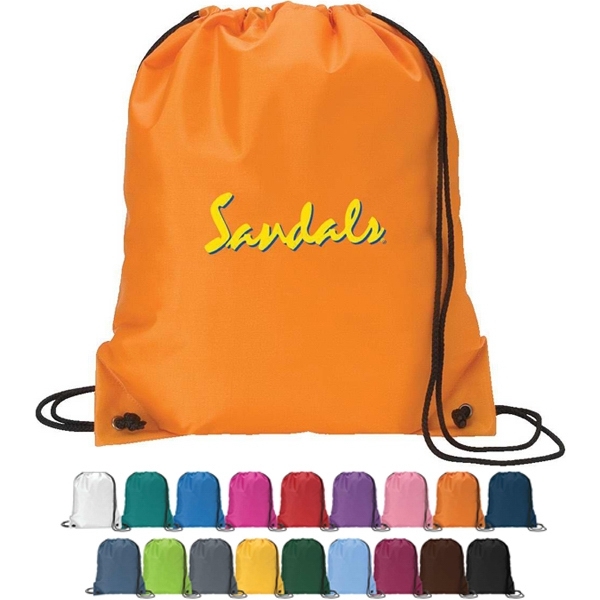 BA602 Drawstring backpack makes great fundraiser for sport teams, club or activity. Looking for a fun fundraiser for your school, community or organization? 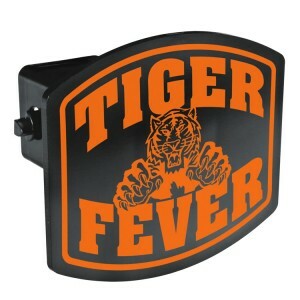 Custom hitch covers made of durable ABS plastic are available in 23 spirit shapes. These hitches fit most 2″ receivers. These are made in the USA and some of the shapes are available in popular sports colors. Imprint area varies depending on shape of hitch cover. Minimum is 25 pieces at 6.25 ea, 50 at 5.25 ea, 100 at 4.25 ea, 250 at 3.99 ea and 500 at 3.49 ea. $40 set up. Sample show is product HC301 Arched Hitch Cover. Sleep on it! Great for teams, booster clubs, activities and more. This pillowcase measures 20″ x 30″ and is made of 3.5 oz. polyester cotton fabric. Use it to cover the pillows on your bed and on guest beds. Also makes a great school staff gift or teacher thank you. 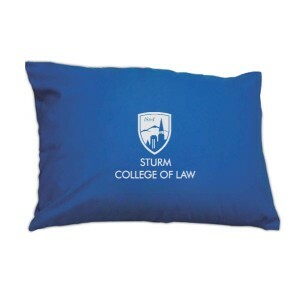 This pillowcase makes a perfect gift or decoration! Comes with a print of your school name and logo on one location. Please note that the prices include white fabric only; other colors are available at an additional cost. Proudly made in the USA. Min is 12, white case with one color imprint: 11.70 ea at 12 pieces, 24 at 10.70, 48 at 9.60 ea, 72 at 9.20, 144 at 8.80. Set up is 50.00. Item number 68707-SPCIL. Keep your fans warm and make money for your team or cause. 100% plush polyester blanket will keep fans warm during iffy weather. Great for picnics in spring. Washable. 62″ x 48″ with an imprint are of 4-1/2 diameter on one corner. No tape charge for up to 7 thread colors and 5000 stitches total. Each add’l 1000 stitches above 5000 ad 32 cents per blanket run charge and 35 cents for blanket for metallic gold and silver per each 1000 stitches. Optional storage bag is 75 cents ea. Available in forest green, mint green, brown, royal blue, black, navy or red. On sale until Dec 20, 2014. 25 pieces at 11.40 ea, 50 at 10.53 ea, 100 or more 9.77 ea. Item number 7029WJ1. Looking for a fundraiser for your school or sport? Pick a color, coin a phrase and get started. 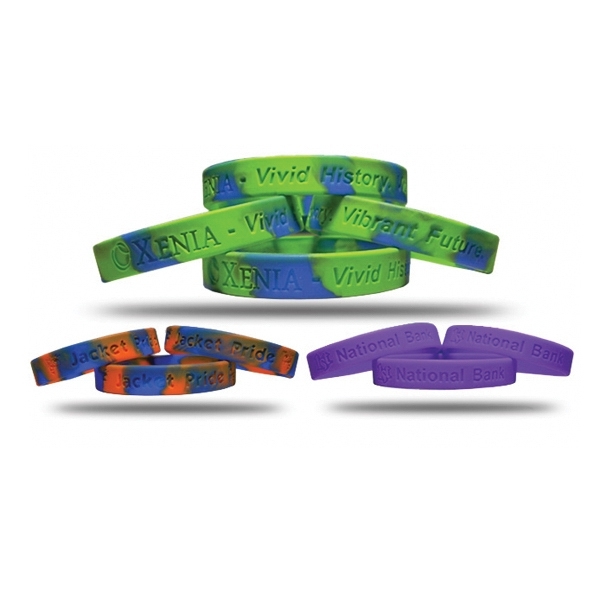 Silicone debossed bracelets are a great way to raise funds from the entire community. Can sell for 2, 3, 5.00 ea or more depending on your financial goal. One police department in Colorado sold them at their City’s annual festival for 5.00 to benefit families of fallen officers. They raised over 2500.00 at the event. Colorful, 100% Silicone Bracelets with one piece construction. A great way to share your experience or show your support. Good for runs, walkathons, awareness campaigns. Imprint area is 7-1/2″ x 3/8″. 300 at .68 ea, .50 ea @ 500, .38 @ 1000, .32 @ 2500, .31 @ 5000, .30 @ 10000. Add a second color to the bracelet for 20.00 one time charge. Free die set up and free ground shipping for continental U.S. Order yours today and watch the money roll in! Looking for a different kind of seat cushion to sell. 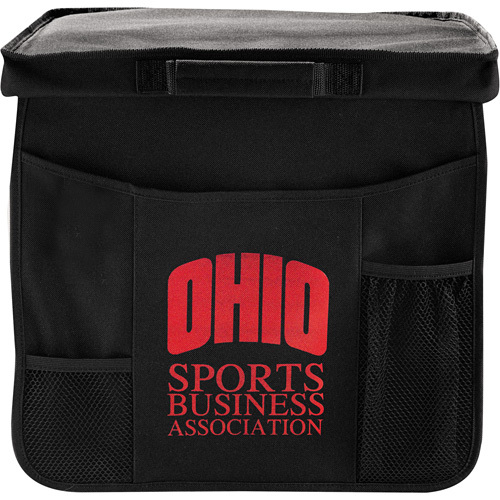 The game day seat cushion is 1″ thick foam interior, light weight with a handle to make the seat easily transportable. The flap down organizational panel can hold a water bottle, program, cell phone and any other game day essentials. Booster clubs, sport teams and more will love this for fundraising and more. Available in black only. Imprint area is 5″ x 6″ on the front pocket. Set up is 55.00. 72 10.70 ea, 150 min at 8.58 ea, 300 at 7.88 ea, 600 6.96 ea. Order yours today for fall fundraising. These magnetic car sign magnets are great to show and support your school spirit. Custom megaphone shapes and more available. Full Color printing and coated for weather protection. 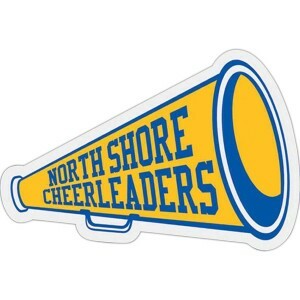 These magnets make a great booster club or team fundraiser as they can easily be sold/resold. One color 12 inch pricing: 50-99 5.99 ea, 100-249 3.29 ea; 250-499 2.99 ea, 500 or more 2.45 ea. Two color 12 inch pricing: 50-99 6.19 ea, 100-249 3.49 ea; 250-499 3.19 ea, 500 or more 2.65 ea. One color 6 inch pricing: 50-99 3.99 ea; 100-249 1.79 ea; 250-499 1.45 ea, 500 or more 1.29 ea. Two color 6 inch pricing: 50-99 4.19 ea, 100-249 1.99; 250-499 1.65 ea; 500 or more 1.49 ea. 35.00 set up per imprint color. Incredible pricing on these items – make money for your team or school! After having kids in high school sports for 10 solid years from the start of the oldest to the graduation of the youngest, a revelation. Booster club parents should keep the lists of families who graduate and tap them as possible donors to the sports program(s) in the future. This former booster parent has years of fundraising experience, from season to season and sport to sport or activity and the concept that the graduates and their families are an untapped resource has again surfaced. Now that all 3 of our kids have completed college, I would be happy to help support teams or activities at the high school they attended. Why don’t I? No one has ever asked. So sports booster parents, keep the information of graduating athletes and participants’ families if you can. A postcard to let them know what’s happening now with the present team or inviting them to an alumni night might just bring in some surprising, unexpected funds…Even years after they were booster parents themselves.